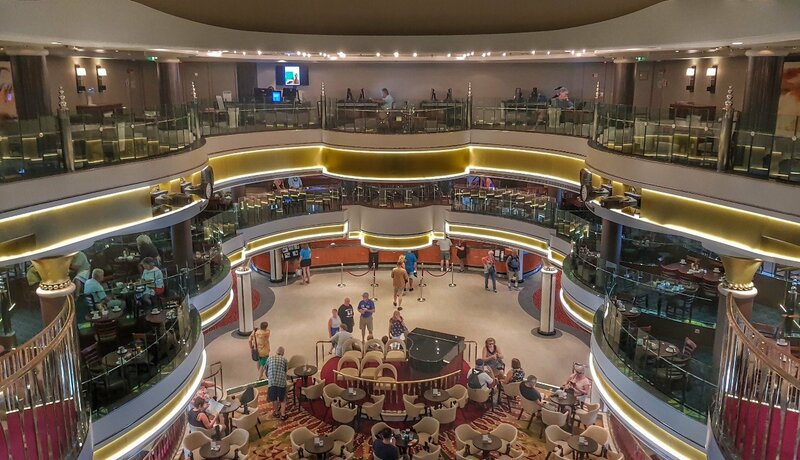 Norwegian Star Cruise Review: A Great Ship, A Great Model, A Great Experience! 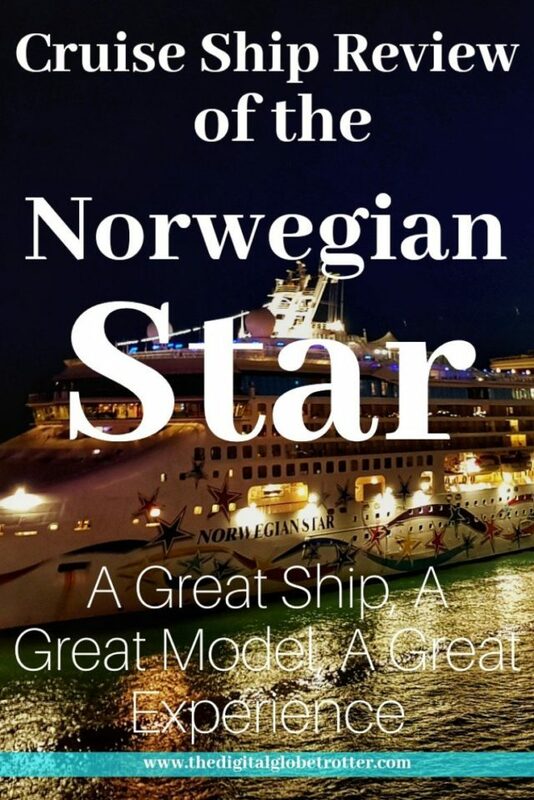 While Most companies are continuously going bigger and flashier, the Norwegian star, which can now be considered an “Older ship” still strikes all the chords needed to have an exceptional cruising experience, thanks to Norwegians Cruise Line which are, in my opinion, one of the best in the game! 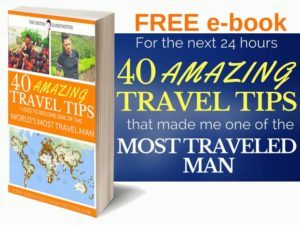 Over my more than 20 cruises on all the most important cruise lines out there, I have gathered enough experience to be able to judge of what quality cruising is and I can sense when they go the extra mile on details, as well as when they “cut the corners short…”. Fortunately, I am happy to report that once again, Norwegian impresses me and definitely doesn’t cut any edges for what you pay! Special Note on the rating System: The rating system on my Cruise Reviews is based out of comparison to what many consider the best cruise line over the board: Royal Carribbean. In fact, Royal Caribbean has become so good at the game that they currently have a steady 25% of the clientele of cruise ships over the world, a very considerable amount. I must agree that Royal Caribbean is the best experience one can have on a cruise, and this is due to the fact that they are excellent in absolutely all the categories I list in my Rating articles. When I say excellent, this means they pretty much rank a 8/10 without exception. Some cruise lines may have one or two categories with higher ratings than RCCL, but may lack in other categories. So in my rating system, for comparison purposes, if a category ranks 7/10, it means it is lesser than the RCCL’s average, while a 9/10 means an Exceptional rating, better than the RCCL Average. One thing I learned while sailing the newest Monster ships out there with all the bells and whistle is that in the cruise industry, “bigger is not better”… In fact, this is in most cases a trick to cramp more rooms and people on the ship while providing the same amenities. This is what will make the ship feel overcrowded and massively decrease the comfort experience of the ship, which is a big factor of appreciation for me. This is where the Norwegian Star marked its first points I believe, with a lot of amenities and space for its size! Even when sailing at full capacity, the ship almost always felt spacious, balancing the passengers throughout the ships different rooms. Wow! This was such a surprise! The 4 shows of their production shows from their official Norwegian star dancers and signers were just fabulous. I had always enjoyed Norwegians theater shows on previous cruises, but I couldn’t remember how good this was! And I wasn’t the only one! On every one of their shows, especially the Vegas one, pretty much everybody was on a standing ovation. This must be one of the best choreographies I have seen on any ships! The other representations were also interesting, and since it was a Cross-Atlantic cruise, they had brought various artists to fit the empty days. Some were good, others were not. None were at the level of the 4 shows from the signers and dancers. The one thing I thought could have been improved is that for a transatlantic cruise of 14 days, they only showed the dancer’s show once each, the same amount as a normal 7-day cruise. 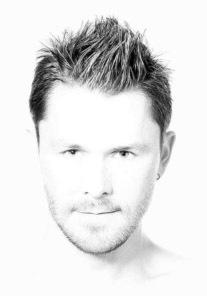 They must have used the transatlantic cruise as a little “break” for their performers, but I would have appreciated for them to repeat the shows, as they do on others Ships I have sailed, such as the Norwegian Epic, for example. Yes, it was that good! Norwegian has a reputation of hiring the best of the best quality dancers, while other ships hire seasonal and amateur dancers. Another thing I appreciated was the theatre’s design, which was big and spacious, set on two floors, which provided comfortable and great elevated views from the row in front. Everybody would get a good view of the shows wherever they would sit in the theater. Good Job Norwegian Star! In General, the room was comfortable, but being a little older of course, this factor will play in the comfort experience. I felt like there were strange smells at times in the room, which was also noted by other passengers. Nothing major and it was dealt with quickly by the room attendant. On a positive note, they had a rehaul in 2018, which means they refurbished some areas of the ship, as well as some things in the room, such as USB ports, a great addition in these years of technology. This is the biggest lack of the ship in my opinion. Out of the 5 different bands or artist playing, only one of them was actually good in my opinion: The Latin American duo which amazingly only a few people seemed to like. There were two bands of Asians playing that always seemed to be off-key, missing notes all the time and seemed unprofessional to anyone having at least an average musical ear! That amazed me that Norwegian would have such novice musicians onboard compared to their theatrical shows which were so high standard! The Soloist guitar player was good though, but not exceptional. The same goes with their pianist, which only played piano versions of pop music in the evenings, no variety such as classical or jazz, whatsoever. This is a shame since some Cruise lines hire some incredibly talented musicians, and none were provided on this cruise. The only talented classical music artist was an incredible Ukrainian violinist which was hired for her onstage performance. The show was amazing though, I just felt they could have provided such talent in their bars. The other big lack was their animation team, pretty much unexsistant! Some cruise lines make a great effort to entertain guests with games, animations, etc… The team was barely visible and would do the bare minimum… It Needs some attention urgently to boost the “fun” factor on the ship. Finally, One of my biggest criticism on this ship was that there was no Nightclub. Yes, No nightclub on a ship of this size is unacceptable. They would only use one of the bars and would end up always empty after the animation team would do their little 30 minutes “dance with the crowd” daily before sending their DJ which was barely visible. No good… I later understood that they used the prime location for a nightclub on a ship, the panoramic view bar up at the highest floor, for their “exclusive guests only” section, leaving the rest of the ship without any decent place to go dancing the night away. A very bad choice of amenities which will hurt the Norwegian star’s reputation again on the “fun factor”. Amazing service is provided everywhere on the ship, to the highest standards in the industry! Great job to the team. Usually, on American ships, I noticed that the service is always better to attend to the demanding American customers compared to the European lines. Norwegian’s crew will always give that extra smile needed to make every seem happy, which is greatly appreciated! WOW! I must admit that very rarely will I hand over a 10 in a category, but here, I must give it to Norwegian. The food was plainly spectacular! Actually, out of all the ships that I have been on (over 20 from different lines), this has got to be the best food of any ship! First, the buffet was complete and different every night! The deserts were great too and the seating area was also well designed to provide enough space for everybody. 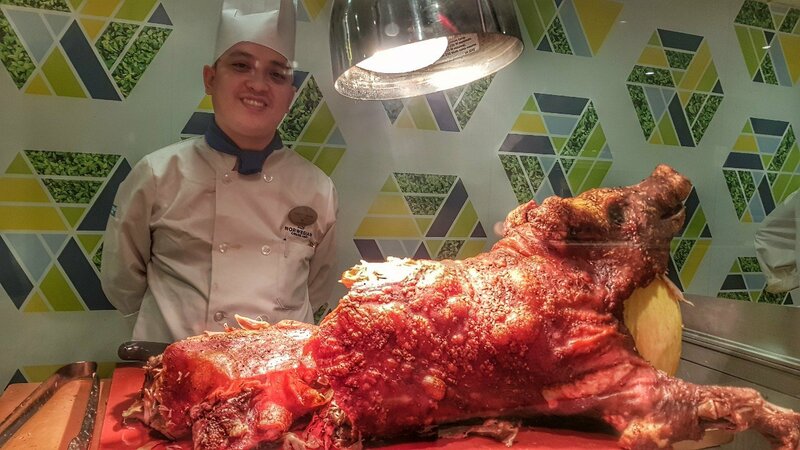 Opening hours of the buffet were also extended for early and late breakfast and lunch. But where the Norwegian Star shinned to my eyes was at the Versaille and Aqua restaurants provided at no extra cost. 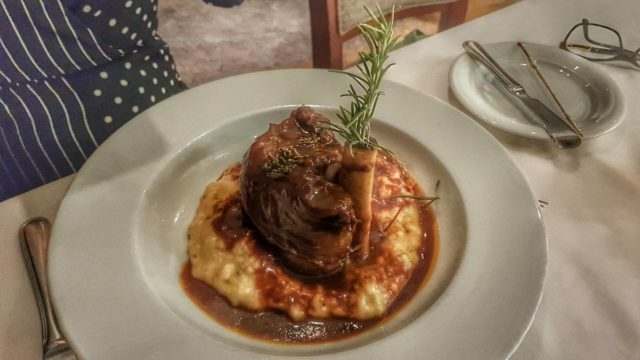 The quality of the food that was provided was, repeatedly incredible and I was surprised at how the chef reinvented every meal to the highest standards, every single night. This is a very difficult task to achieve since these meals need to be made in mass, for thousands of customers over an eating period of only about 4 hours. But I have not experienced even one bad night out of the 14. Special “hats down” for their desserts, which were just incredible, the best in the industry. I believe their chef was Portuguese and Filipino, and they definitely deserve my greatest respect for their work! Cleanliness is very important on any ships since germs spread fast, especially on a 14 days ocean crossing. And Norwegian did a great job on this. They would have a “washy washy” staff in front of every entrance to the buffet for people to clean their hands prior to getting their food. A tiny detail for some, but an important one. 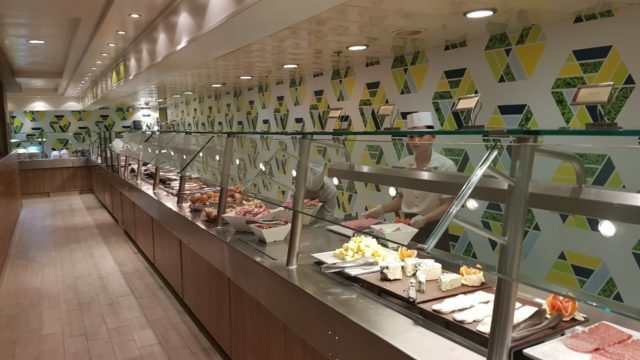 For example, on a recent review, I have made about the MSC Meraviglia, absolutely no hand sanitizer would be found at any entrances of the buffet, which would result in so many people getting sick and coughing, contaminating others too. Totally unacceptable. Norwegian is one of those companies that take cleanliness seriously and this is well appreciated. Norwegian’s prices are well balanced in general. You get an above average experience, for an affordable price! 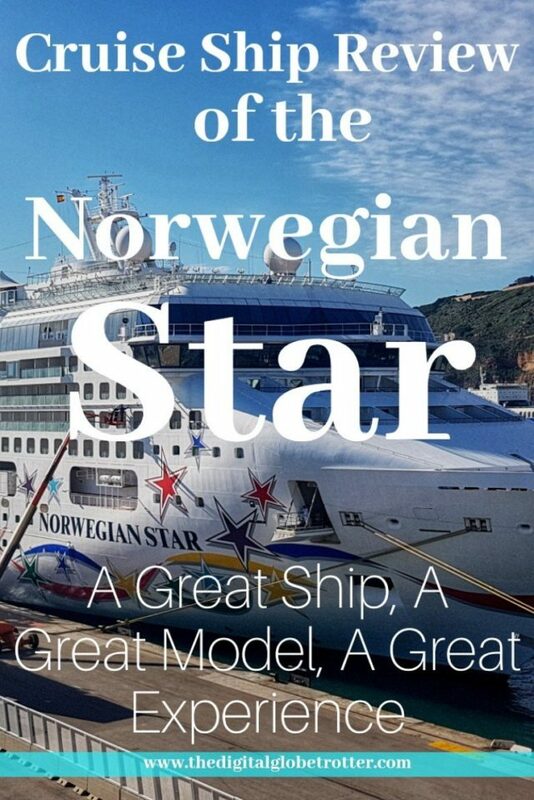 Since I always liked my experience with Norwegian, I wouldn’t even hesitate to pay a little more on a cruise to be able to be with them. In my opinion, the two best cruising companies are Royal Caribbean and Norwegian. And while Royal Carribean ultimately really rarely lowers their prices, I feel like Norwegian has one of the best Quality/Price Ratio in the industry. Once again, well done Norwegian! The only points to watch out is their overpriced “extras” like their excursions for example. They could also improve their internet service, which is absolutely overpriced compared to the competition in 2018. The internet is a necessity and with their actual prices, most passengers would prefer staying disconnected to pay their “at the minute” prices, in some plans 3 to 4 times higher than on other ships. The service charge is also overpriced, at 14.50 $ per person per day. With 2 to 3 passengers in a room, this adds up very quickly and makes you feel like you are paying the crew’s entire wage out of that service fee. On the day they let people adjust the service fee, amazingly long queues formed at the reception to adjust the service fee. 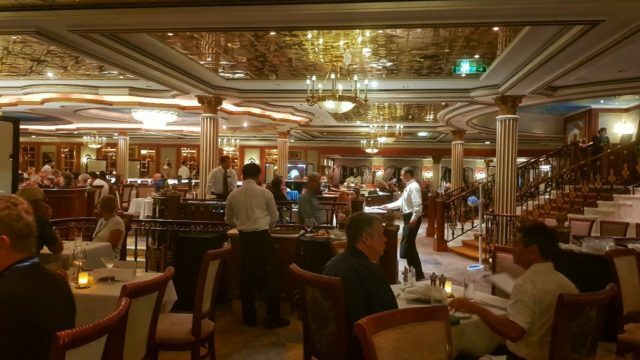 The service fee has always been part of the way cruise companies make their money, passing back the wage bill to the customers who already fully paid their cruise. But at 14.50 USD, it is a little hard to justify, while other cruises ask much lower, around the 10$ mark which I feel is more adequate. This is one area that I didn’t appreciate. Being a Silver member of Norwegian, one of their promoted advantage of the status is to have priority Boarding. While in Rome, since there were so many senior passengers of premium and up class, they decided to drop the priority boarding for anybody lower than premium… False advertisement? After asking them they claimed this is written somewhere on the member’s terms, that they can deny this privilege at any time… It Must be written in the fine prints somewhere I couldn’t see it because everywhere I looked. Anyhow, outside this unfortunate check-in event, I felt it was a little bit chaotic and the experience was not pleasant, which could be the fault of the port of Civitavecchia where I boarded. Disembarkation day in Miami was also very painful, as they had 2 full-size cruises disembarking in the same terminal, and all passengers of both ships would be sent to the same immigration queue! This created a 1+ hour wait queuing and is not normal in Miami with other cruise lines. MSC, for example, is doing a much better job with their newer terminals, as well as Royal Caribbean. But anyhow, I cannot rank this category higher than a 6. Norwegian passengers are usually mostly North American and some Europeans, many times Norwegians for some reason (the company is actually American, not Norwegian). 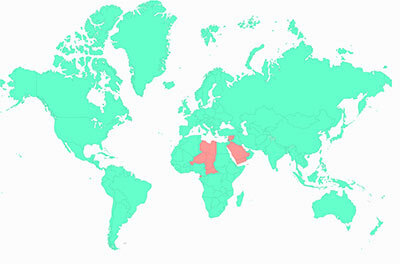 The age is also spread and would average usually between 45 to 55 years old. However, this cruise was very different since it was a transatlantic cruise. The average age was official of 65 years old and the night club was empty every single night with everybody back to their cabins after 11-12 pm. But this happens on every transatlantic crossing on every company. I have actually met people that were on the Norwegian star just after me and stated that the crowd came back to its normal levels, with ages averaging between 45 to 55 years old. 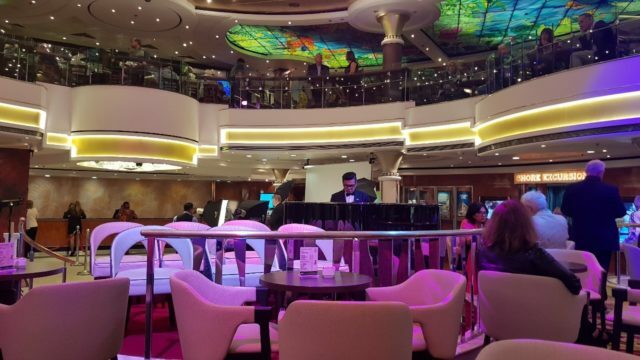 Sailing on the Norwegian star was a surprising experience! While there were some things lacking like the “fun factor” and onboard entertainment, Norwegian excelled amazingly at other areas such as their theater shows and the amazing food in the restaurants. It was overall one of my favourite cruises I have done and will push me to be a loyal customer to Norwegian in the future. I will definitely try to board other ships to compare them and see if this success is repeated! 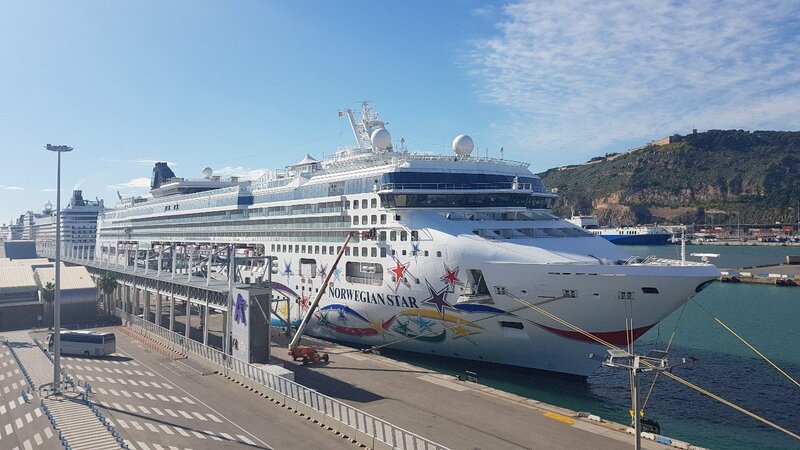 If you happen to find a good deal on the Norwegian Star, my recommendation would be to book it soon enough!